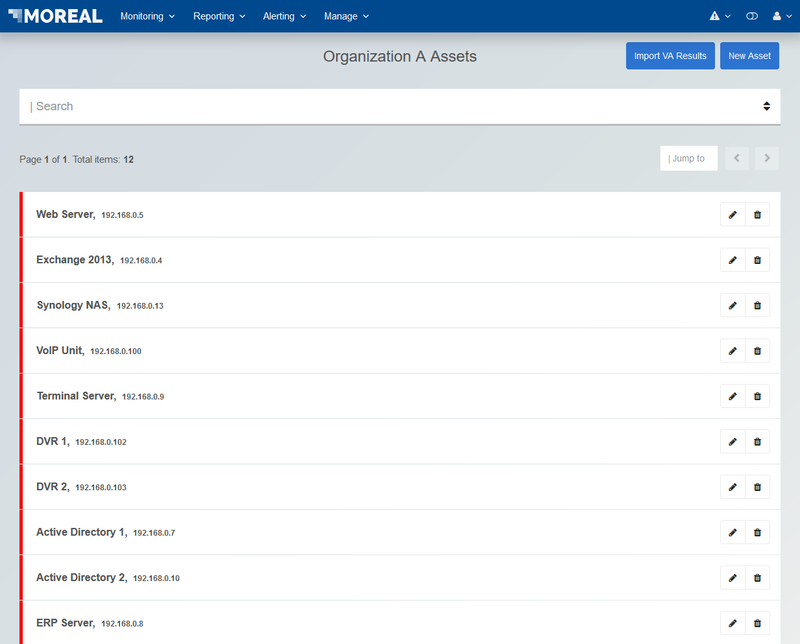 From within an Organization’s Assets screen you can add, edit or remove a device. To edit or remove an asset you have to use the action buttons located on the far right of each row in the table list in the Assets screen, as shown below. For your convenience, tooltips appear when hovering over the buttons with your mouse cursor. To add a New Asset, click on the New Asset button on the top right of the screen. Asset criticality. Users should choose this based on how important this particular asset is, or how damaging a potential compromise would be. (E.g. A finance server hosting databases with sensitive data would potentially be more critical than a mail server). Assets can be created either manually one by one, or by uploading a relevant VA report. VA reports can be uploaded using the Import VA Results button located on the top right corner of the Assets screen. Currently only Nessus CSV files supported for upload. Each host included in the report that is not already a defined asset, will create a new asset with its IP as a default Friendly Name and Criticality as [additional input needed].